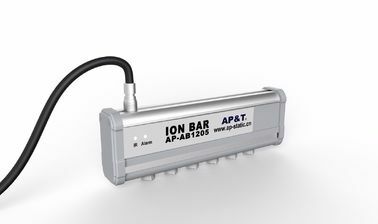 AP - AB1108 ion bar generates positive and negative ion on emitter by AC high voltage and transfer the ion by pressed air to the object surface to be static removed. 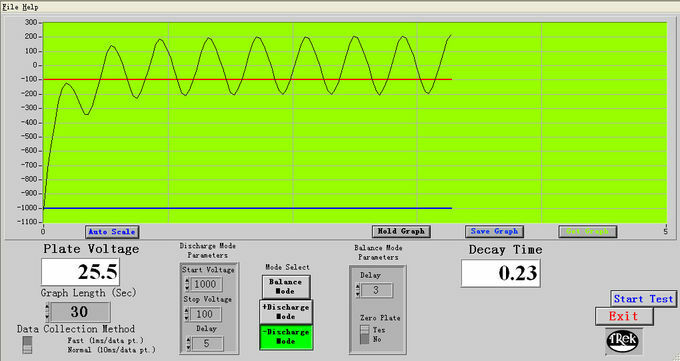 Thus neutralize the ion on the object surface and eliminate static efficiently and reliably. . 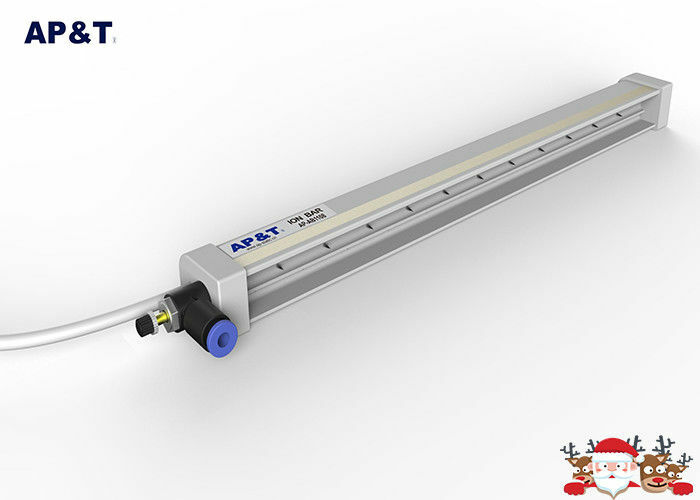 It is widely used in electronics, plastics, chemicals, printing, textile, optical and other industries. 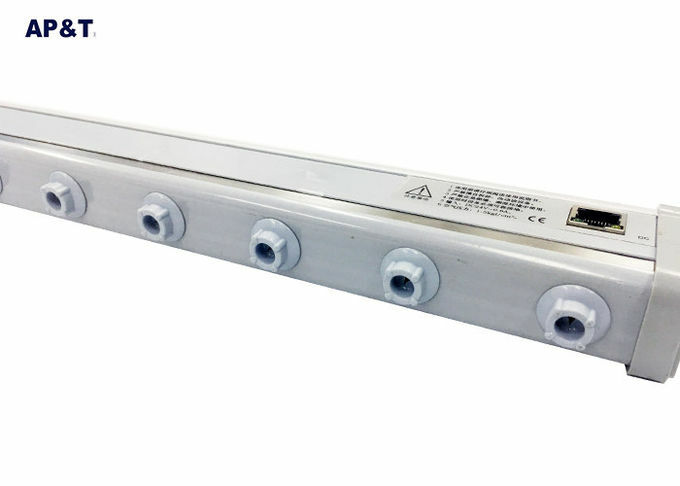 User should clean and maintain timely to ensure the good performance of the ion bar according to working environment and requirement of ESD protection. Clean the carbon materials on election bare tip, discharge pad and metal discharge body with static brusher or clean cloth with ethanol can obviously improve the performance. Restart must wait till alcohol completely volatilized after cleaning by clean cloth with ethanol. Any other organic solution is not allowed to be used to clean the ion bar. 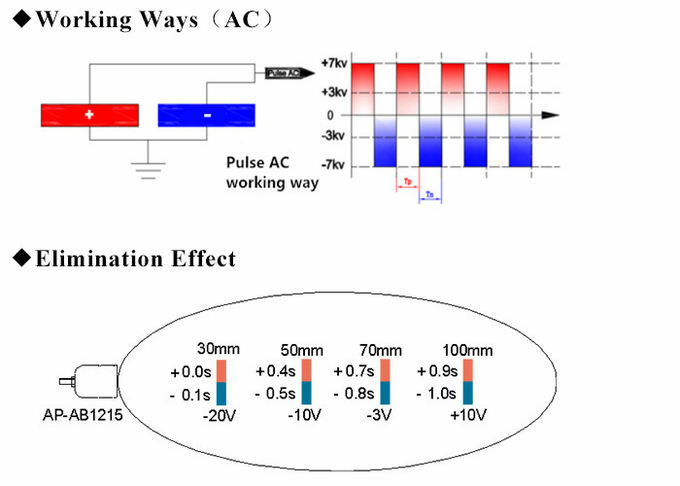 Stop using the device when red indicator turns off on power supply. Re-use the device only after checking and repairing by professionals. 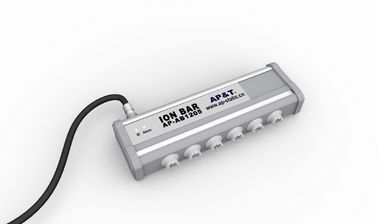 (1)AP-AB1108 ion bar is strictly inspected before ex-work and match the entire related technical standard indicated in this manual. (2)Guarantee:Repair or change any damaged parts caused by quality reasons free of charge within one year from the date of purchase after we confirm the quality issue. (3)Above guarantee is not fit for the following situation:Alternation of the device, wrongly used, incorrect installation, abuse, negligence, and accidental damage, wrong input voltage, unpacking and repacking by user itself or maintain by other unauthorized service department. 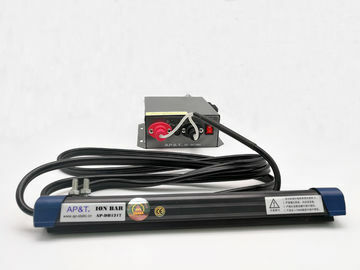 (4)AP&T is free from any related responsibility of using the product except the parts specified here above.